An automotive vehicle is equipped with various lamps which have a lighting function that allows a driver to comfortably recognize objects at the periphery of the vehicle when the vehicle is driven during the night time (e.g., dark lighting), and a signal function that indicates a driving state of a driver's vehicle to other vehicles. Internal and external vehicle lighting helps to ensure the visibility of the vehicle and also its surrounding environment. A headlamp, a fog lamp, and etc., are provided for the purpose of the lighting function, together with a turn signal lamp, a tail lamp, a brake lamp, a side marker, and the like are provided for the purpose of the signal function. In addition to a main lamp say for example a head lamp, an auxiliary lamp such as a clearance lamp or a daytime running lamp (DRL) is provided in an vehicle. Automotive headlamps are typically configured to switch a low beam and a high beam. The low-beam mode illuminates an area in the vicinity of a front running vehicle with a certain illuminance so as not to cause glare light to the front running vehicle. The high beam is mainly for high-speed driving on a road with relatively few oncoming vehicles as well as vehicles in front. The vehicles have in addition tail lamps to provide lighting at the rear of the vehicle and improve the visibility of the vehicle from behind. Brake lamps are placed on the rear section of the vehicle, which illuminate in the course of a braking operation to notify others that the vehicle is slowing down or stopping. Frequently the tail lamps and the brake lamps are incorporated into a rear combination lamp. Fog lamps direct light low and in the direction of the ground to provide improved visibility during undesirable climate conditions. Fog lamps and park lamps are furthermore often placed on a vehicle to provide illumination during poor visibility operations and even while the vehicle is parked, respectively. Turn signal lamps are provided on the front section and rear section of the vehicle and are designed to signal a turning operation by the vehicle. The turn signal lamps could also be integrated into other existing exterior lamps, or even be separate lamps on the vehicle. Marker lamps and clearance lights are generally designed for the outside of large vehicles, which includes trucks, trailers, and recreational vehicles to offer an indication of its size, shape, and direction of motion to ensure that nearby motorists and pedestrians can immediately evaluate the characteristics of the vehicle and take appropriate steps to avoid an accident. Vehicle interior lights are designed to provide sufficient illumination to ensure that the operator of the car can easily see all of the controls required to operate the vehicle. Whilst the exterior lights are designed to ensure that the driver of the motor vehicle can operate the vehicle during the night, or in other much lower visibility environments such as fog. 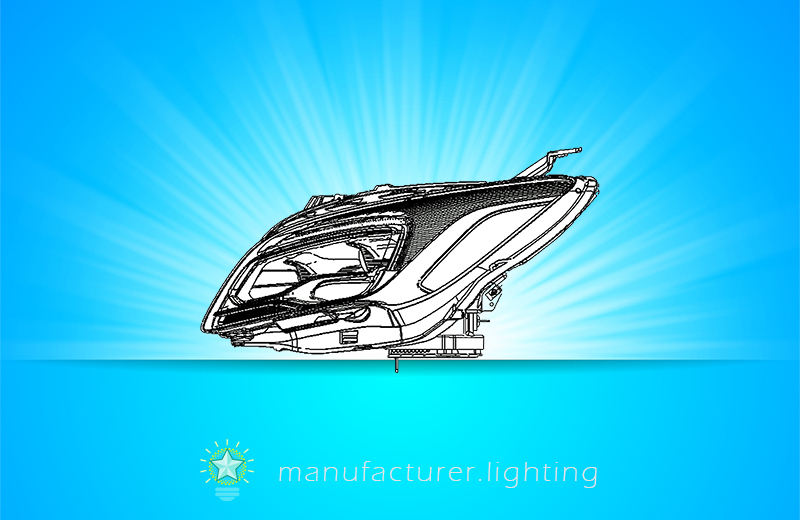 In recent years, vehicle interior lights which has a decorative lighting function provide decorative illuminating with low illuminance, aside from the high-illuminance lamp function. This decorative lighting function is designed for improving the lighting design, for example, by emitting light of a different color in contrast to the room lamp. Many automobile lighting systems feature an ambient light sensor utilized to automatically turn on or off the exterior vehicle lights in response to the detected ambient light being above or below a threshold value. And additionally, current lighting systems for operating interior lights on a car may allow the driver to manually adjust the intensity or brightness of one or even more of the interior lights. Generally speaking, these lighting systems are designed to utilize an approximately 12V power supply for running both the interior and exterior lights. Various types of bulbs have been utilized initially as a light source of a lamp for a vehicle. These light sources include incandescent lamps, fluorescent lamps, neon lamps, halogen lamps, and high-intensity discharge (HID) lamps. But recently, a light emitting diode (LED), which features excellent efficiency of converting electricity into light along with a low level of heat radiation, may be reduced in dimensions and weight, and has a long lifespan, has been extensively used as a light source.